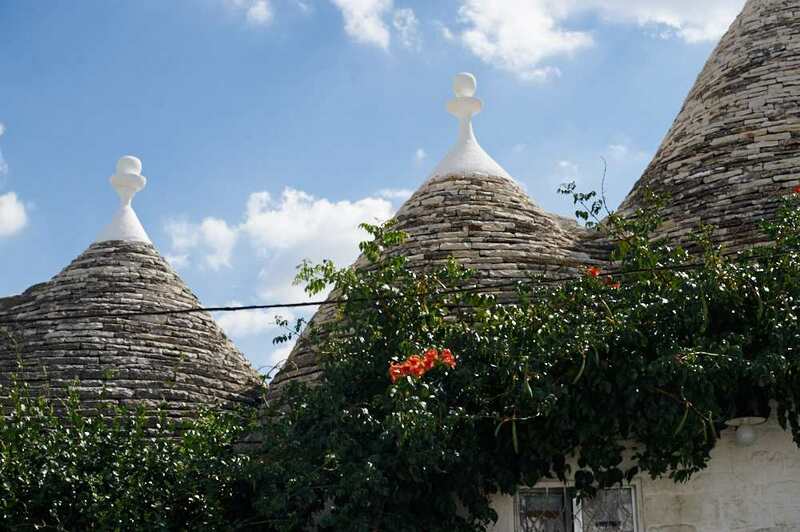 Welcome to “Trulli-Town”! 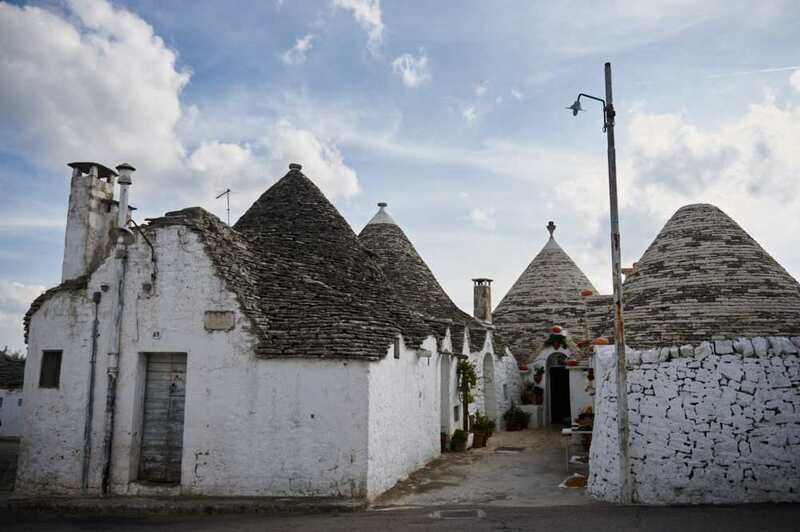 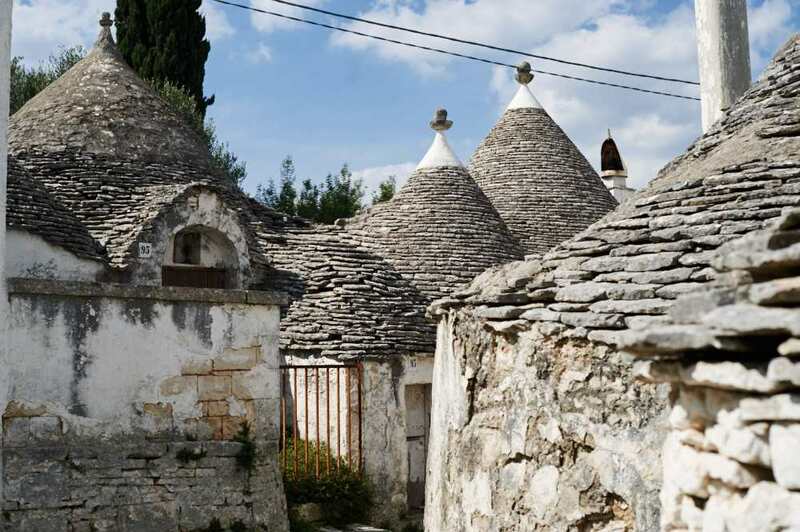 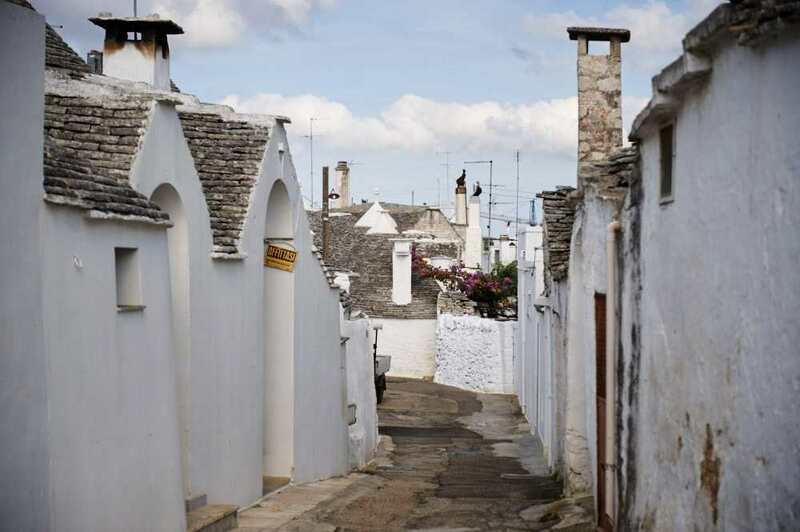 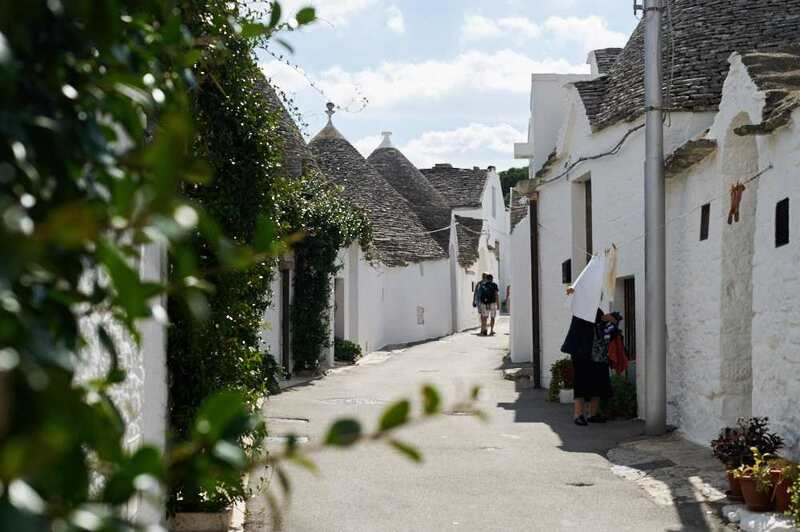 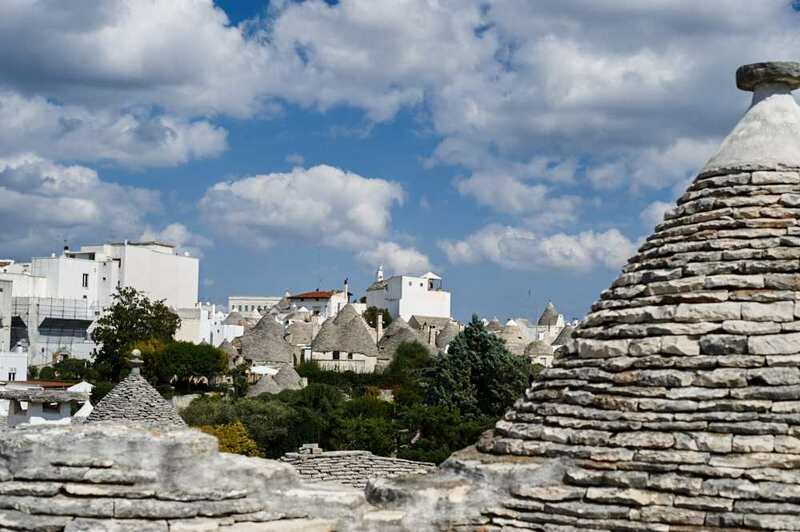 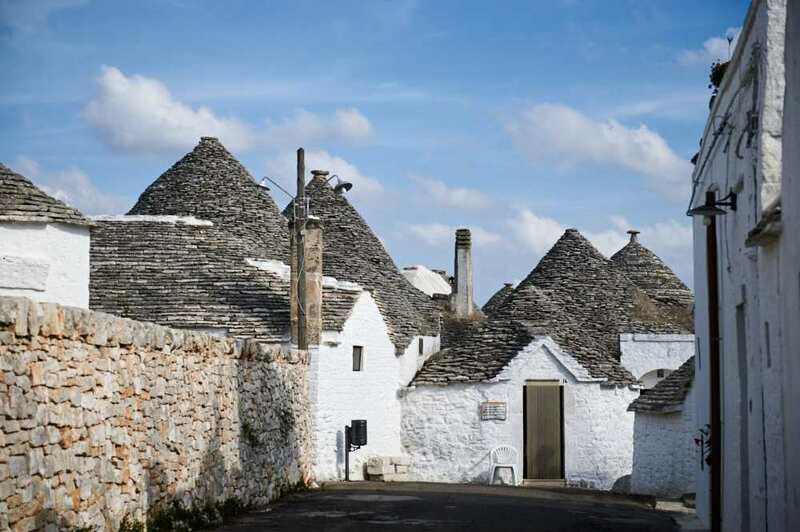 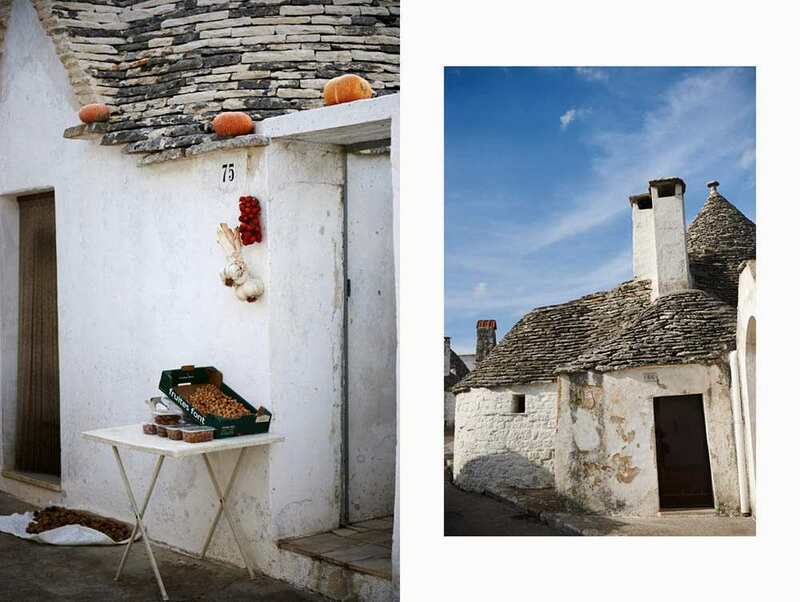 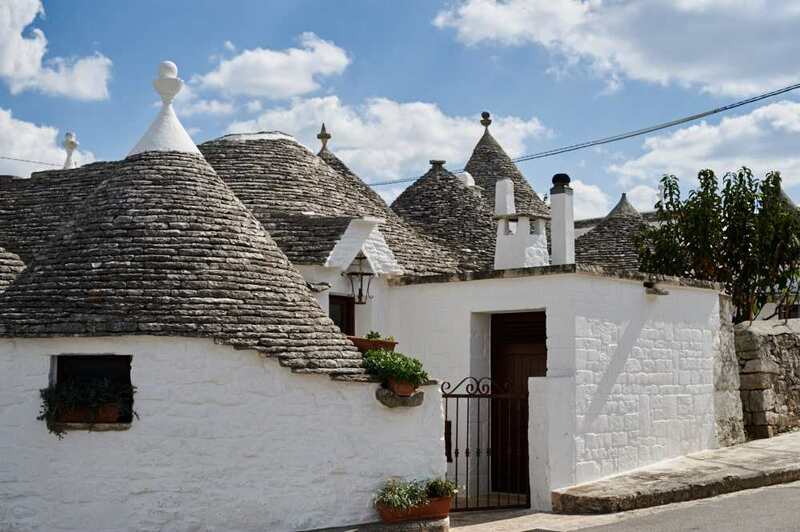 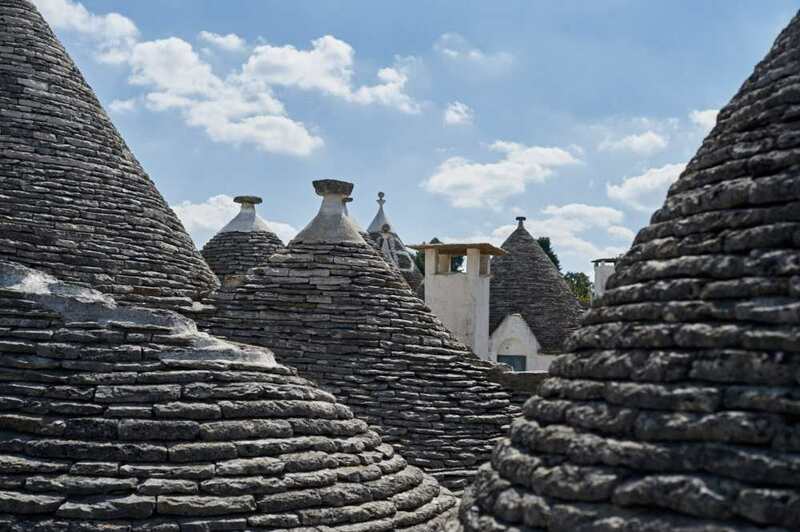 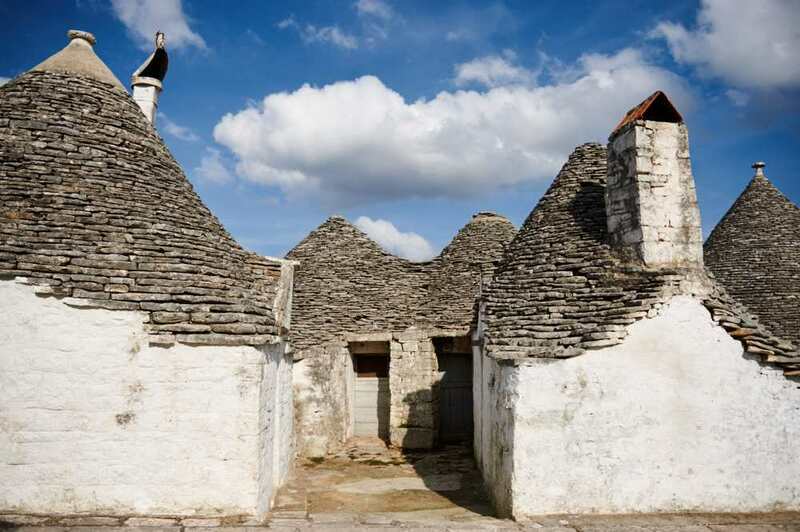 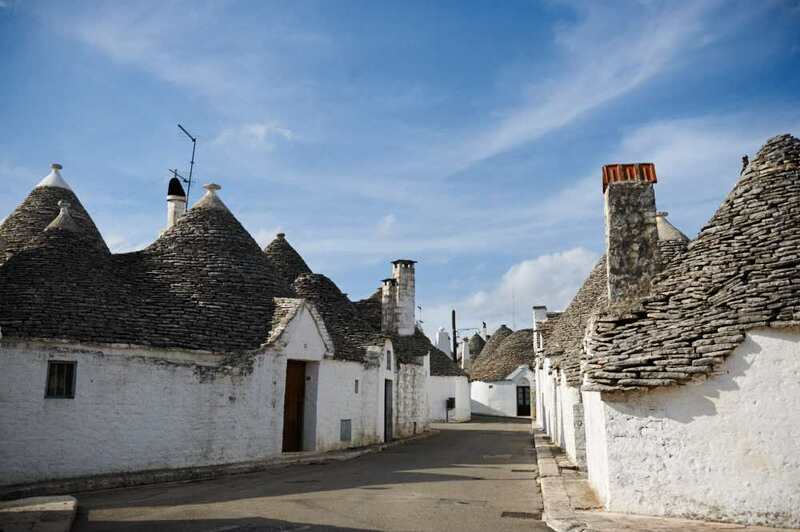 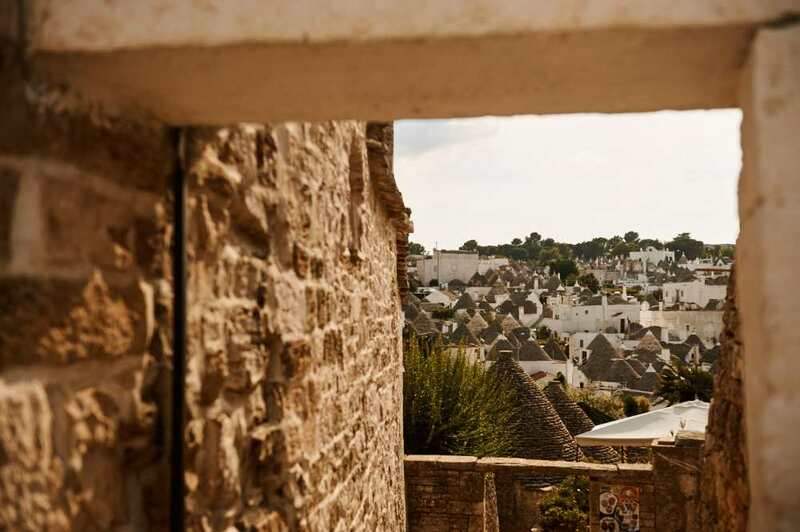 So not all of Alberobello is made in the trulli way there are two quite large parts of the city full of these whitewashed, stone buildings with cone shaped roofs, which are one of the UNESCO World Heritage Sites in Italy. 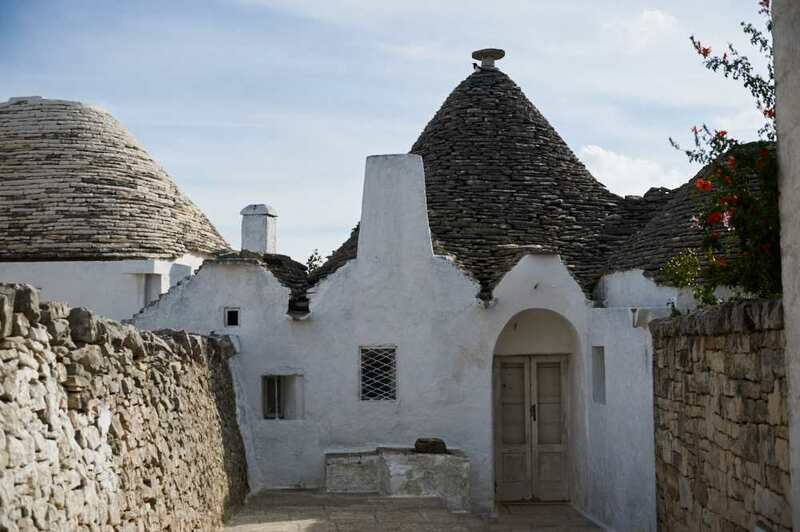 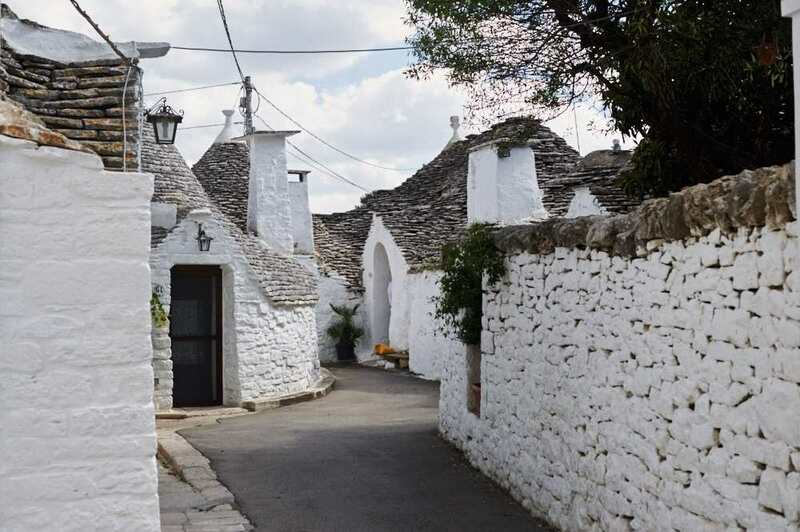 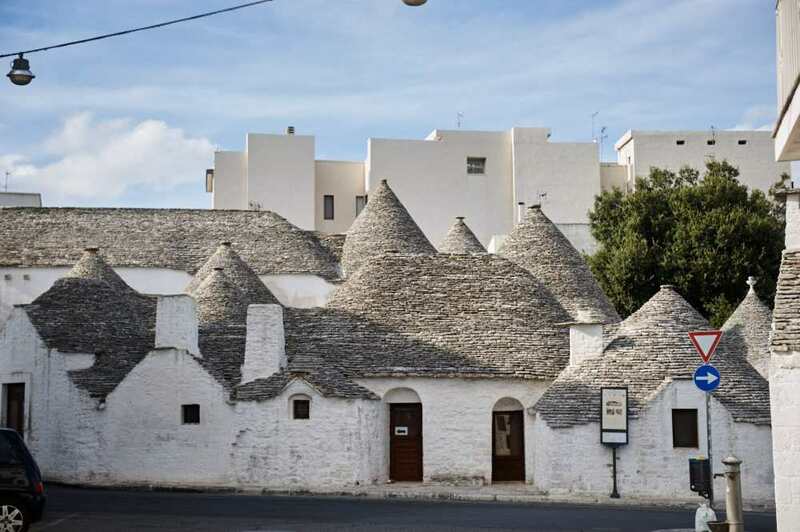 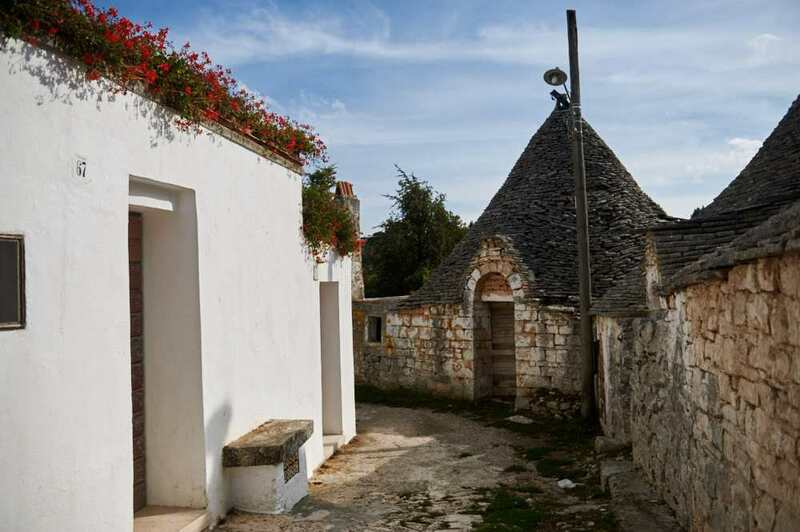 Kind of “houses to go” – if you wanted to move you could take the limestone and rebuild it somewhere else, or just use the materials of an old trullo. 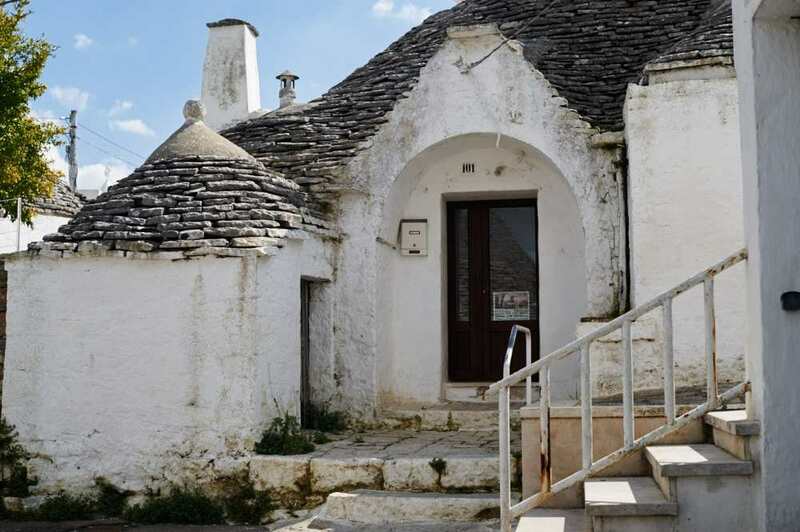 They keep the inside cool in the summertime and warm in winter – so it´s a little dark inside as the windows are tiny, but still very cosy and comfortabel, they are bigger inside as they seem. 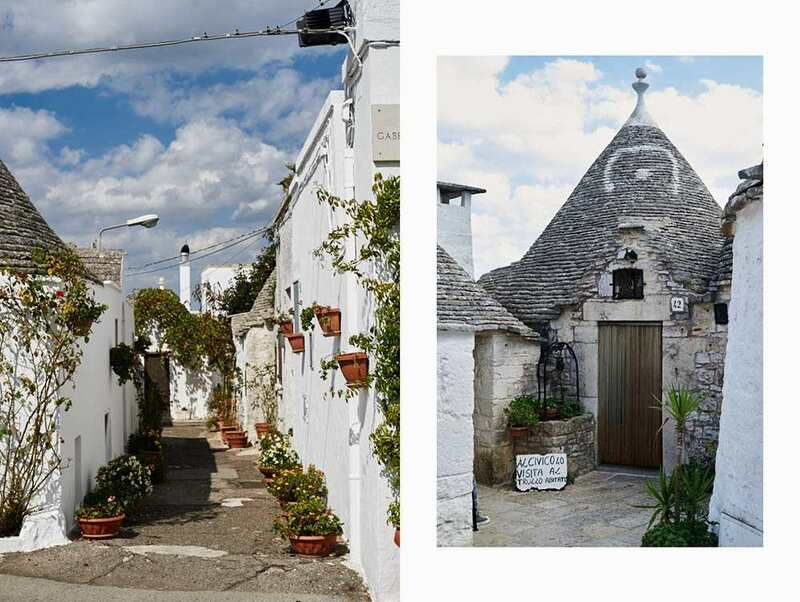 There are kind of two parts of trulli sites: Rione Monti, which is the one with a lot of shops, restaurants and most of the tourists and almost vis-a-vis you find Aia Piccola, way more quite, almost no people were walking around, a lot of the trulli are private and inhabited and a lot of B&Bs and apartements to rent. 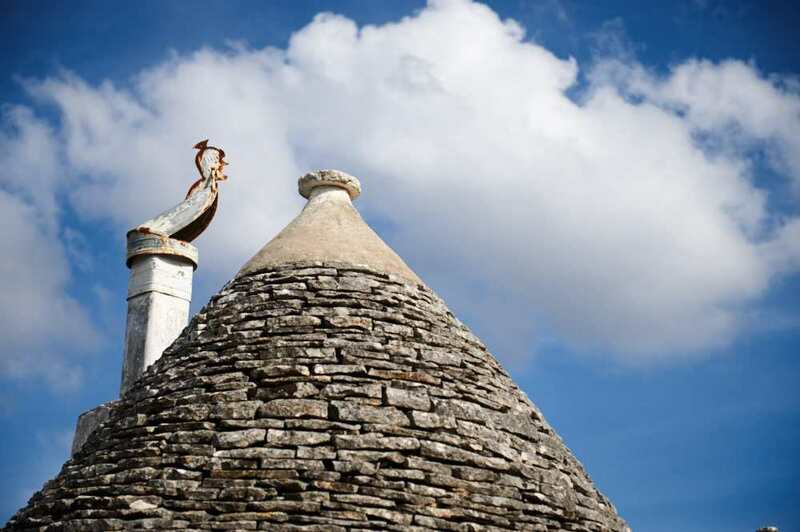 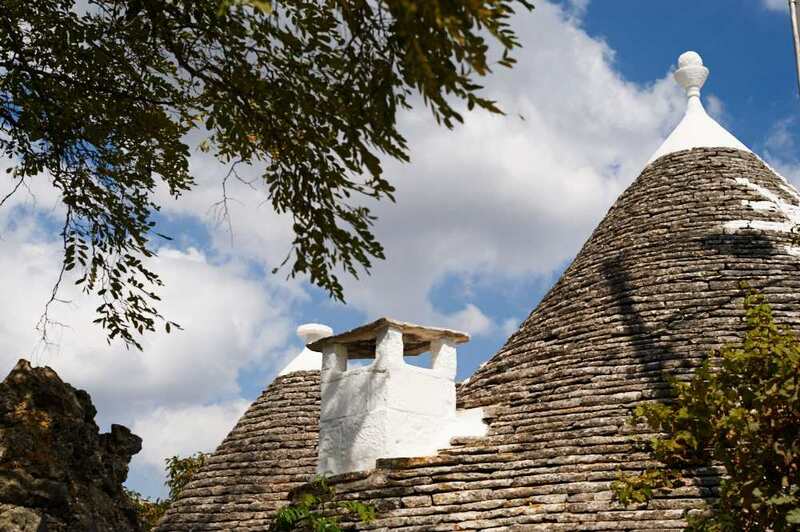 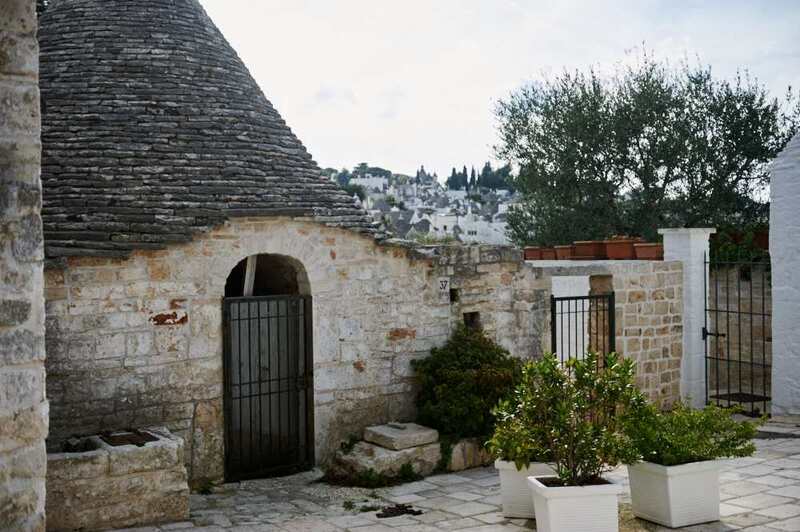 Trullo Sovrano – it has two floors and was built in the 18th century by a wealthy priest-family.